A number of expert contributors have contributed to patient information videos to describe how inherited genetic alterations influence your risk of cancer, and what you can do if you find out you do have an inherited risk of cancer. .
Dr Terri McVeigh, is a Consultant Cancer Geneticist in the Royal Marsden NHS Foundation Trust in London. She trained in Ireland, the UK and Australia. She was awarded a PhD from NUI Galway for her work investigating the role of genomic profiling in risk estimation, treatment and outcome of breast cancer, funded by the Health Research Board/Health Service Executive National Academic SpR programme. She also holds a Masters in Health Science (Clinical Education), a Postgraduate diploma in Medical Science, Postgraduate Certificate in Medical Genetics (RCPath UK). Click on the links below to hear Terri discuss how alterations in BRCA1 or BRCA2 are inherited, and how they influence cancer risk, and how these alterations can be targeted by new therapies. Professor Aoife Lowery is a Consultant Breast and Endocrine Surgeon in Galway University Hospital, and Associate Professor of Translational Research and Regerative Surgery in NUI Galway. She has trained in Ireland and France. 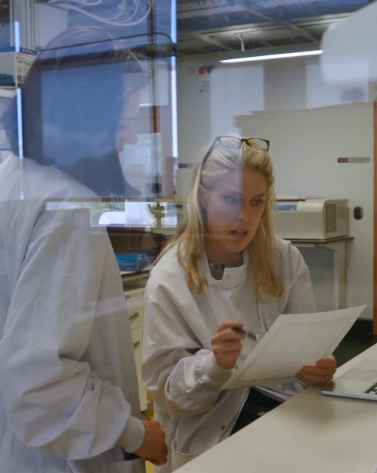 Her PhD focusing on biomarkers in the detection of breast cancer, was undertaken as part of the Molecular Medicine Ireland Clinician Scientist Fellowship Programme (CSFP). She also holds a Masters of Medical Science, and a Diploma in Clinical Education. Mr. Niall McInerney is a Consultant Oncoplastic Surgeon in Galway University Hospital. He trained in Galway, Cork, Dublin, and Toronto, and has a special interest in Breast Reconstruction and Microsurgery. Niall obtained a research MD from NUI Galway in Breast Cancer Genetics, in conjunction with the National Breast Cancer Research Institute and Cancer Research UK in London. Click on the link below to hear Niall describe the different options for breast reconstruction after mastectomy. Dr. O’Leary is a graduate of University College Dublin. He trained in Obstetrics and Gynaecology in Dublin and Galway prior to undergoing a Fellowship in Gynae-Oncology in Australia and New Zealand in 2005 – 2007. He has a Diploma in Gynae-Oncology from the Royal Australian & New Zealand College of Obstetrics and Gynaecology. He is the leading colposcopist for CervicalCheck in Galway and has a special interest in laparoscopic surgery and women’s cancers. He is the national clinical advisor for women’s cancers to the National Cancer Control Programme. Click on the link below to hear Michael explain how individuals with inherited BRCA alterations can manage their risk of ovarian cancer, and how to manage symptoms of premature menopause after risk-reducing ovarian surgery. Dr Elizabeth Walsh is a Consultant Psychiatrist in Galway University Hospital. She is also a former patient, having undergone mastectomy and reconstruction for a precancerous condition of the breast in 2008. She has kindly shared her story with us, and uses her personal experience and professional expertise to provide useful advice to other patients going through similar treatment. Click the link below to hear Elizabeth's story, and her advice for other women going through mastectomy and reconstructive surgery. We have received input from a number of people to help develop this content. We are grateful for the input of Genetic Counsellors and Clinical Geneticists in St James’s Hospital and Our Lady’s Children’s Hospital Crumlin, for their support and feedback. In particular, we thank Ms Claire Giffney, Genetic Counsellor, for her peer review of the videos and content of the website; and Dr Sally Ann Lynch for her assistance in content development. We thank the staff of the Symptomatic Breast Unit in Galway University Hospital for facilitating our recording, and for “volunteering” to appear in our videos! We also extend thanks to Professor Dara Byrne, Ms Bronwyn Reid-McDermott, and all the Irish Centre for Applied Patient Safety and Simulation (ICAPSS), for providing access to rooms, extras, models and make up artists. We thank the Irish Cancer Society, the National Breast Cancer Research Institute, and the Marie Keating foundation for their support and for disseminating our videos through their own websites. We are very grateful for the hard work of Ms Mairin Murray (Digital Doddle) and Mr Dave Brandt (Brandt Studios) in producing our videos. Finally, we acknowledge the financial support of the Health Research Board.